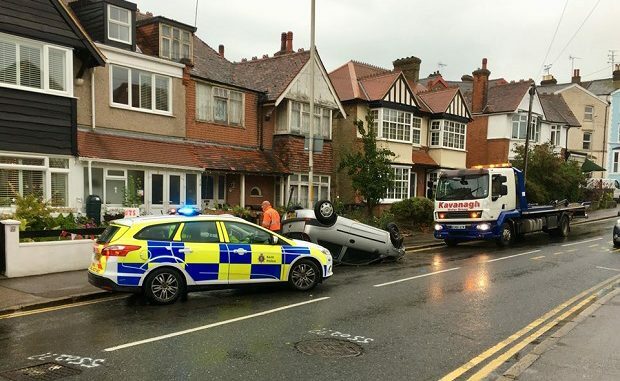 Police and the ambulance service were called to Broadstairs this morning (August 29) after a car hit a wall and overturned onto its roof. The crash happened at 6.42am in Queens Road. A Kent Police spokesman said: “We received a report at 6.42am today (August 29) that a car had collided with a wall and was on its roof. The driver left the scene.